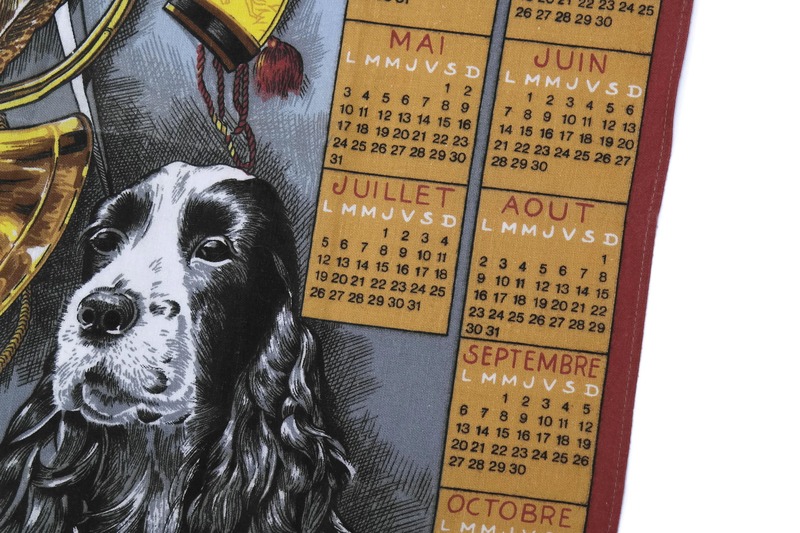 French Vintage 1971 Printed Tea Towel Calendar. 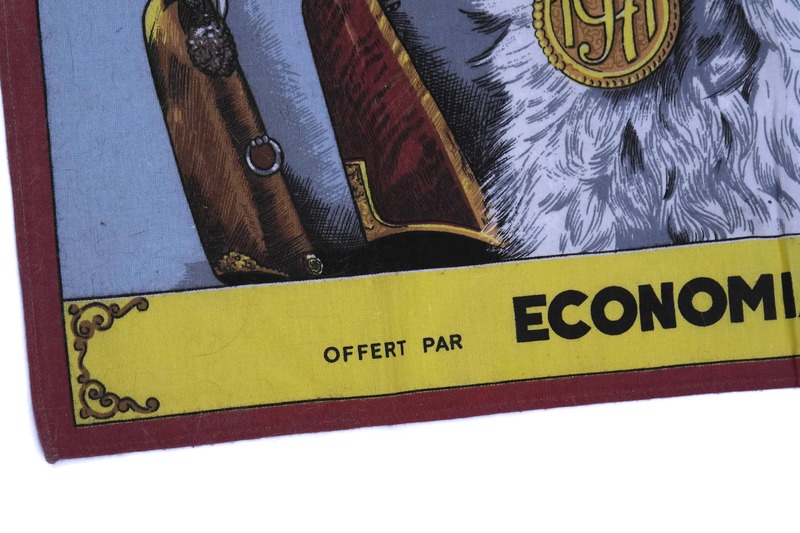 Rustic French Country Kitchen Wall Decor. 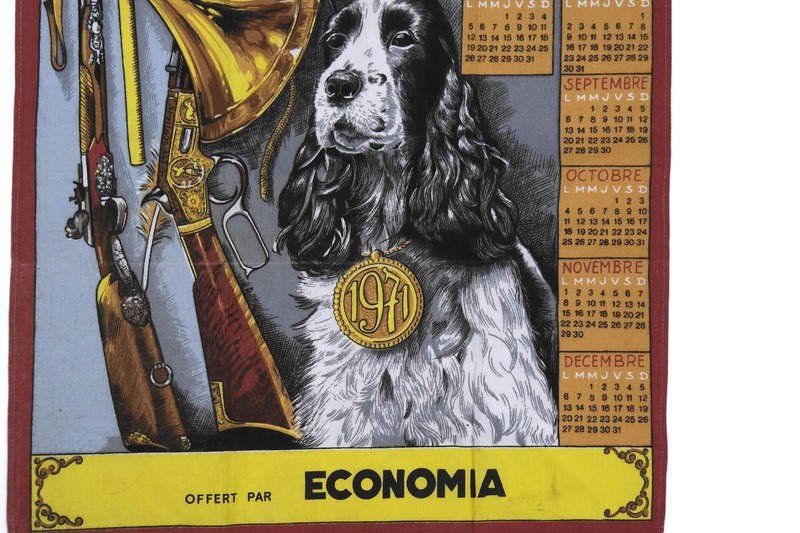 A French vintage printed tea towel with a calendar for 1971. 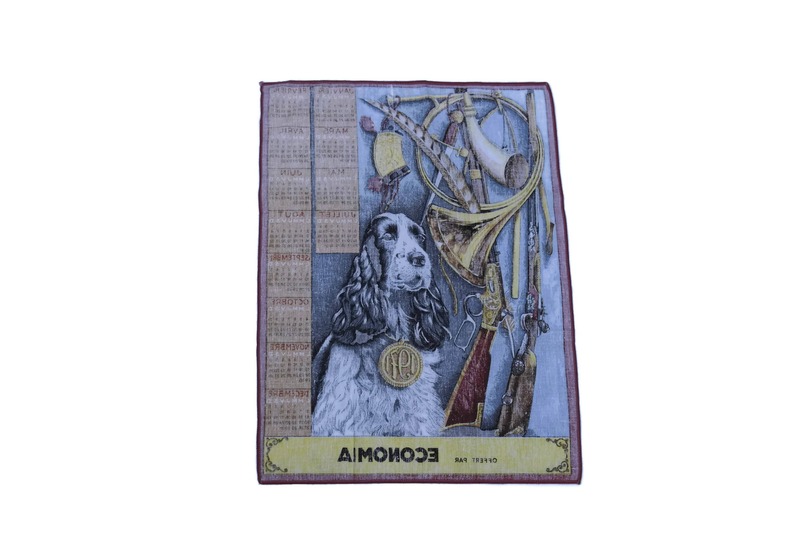 It has been made from pure linen and features a print with a spaniel and hunting decor. 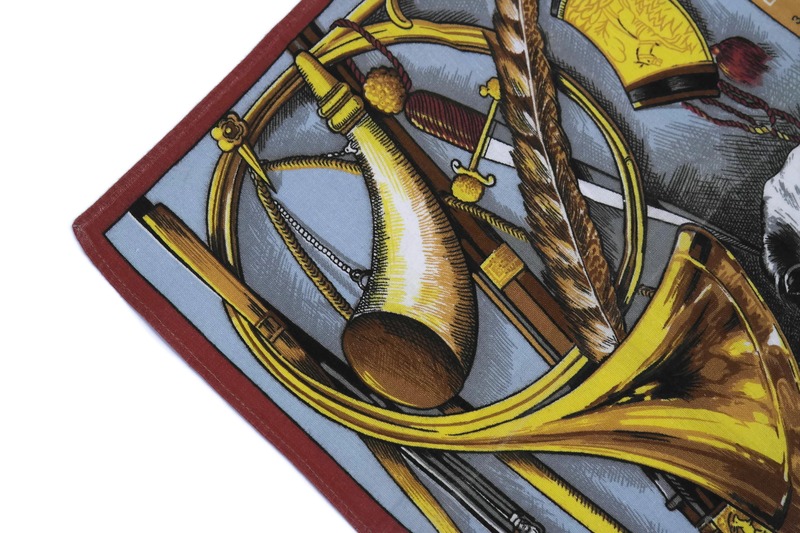 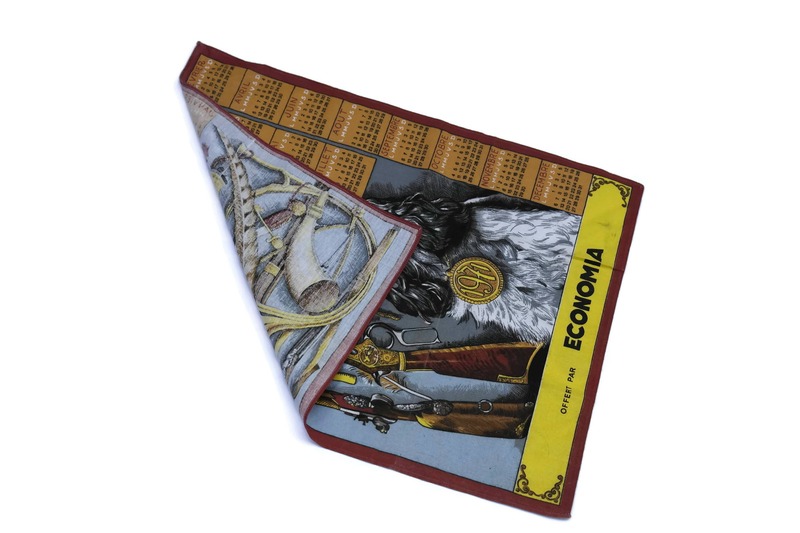 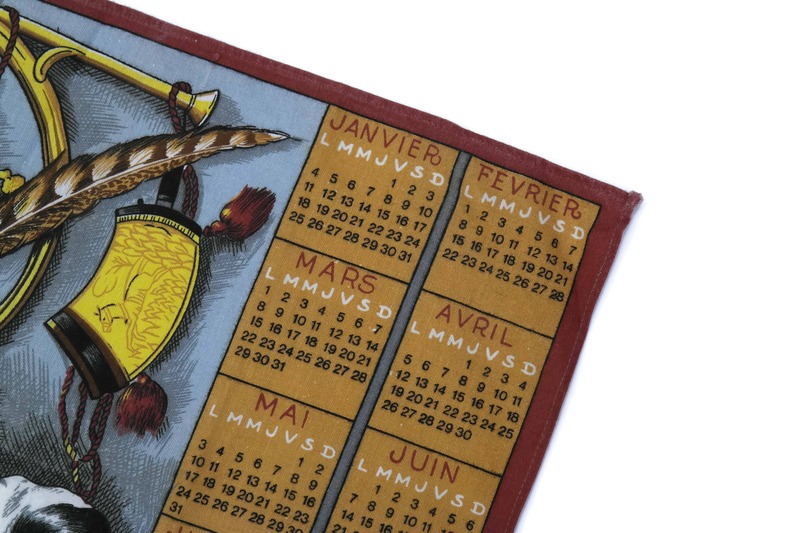 The calendar tea towel was originally offered by the French company Economia to its clients as an end of year gift. 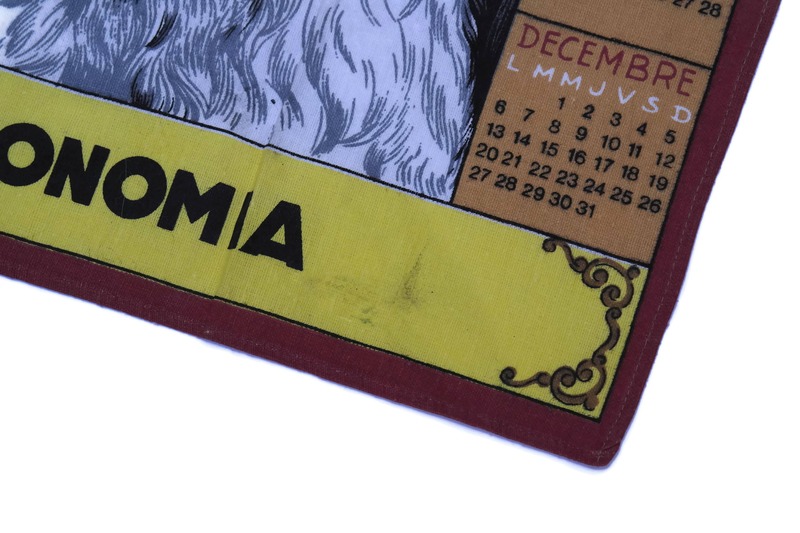 All of the months have been printed in French. 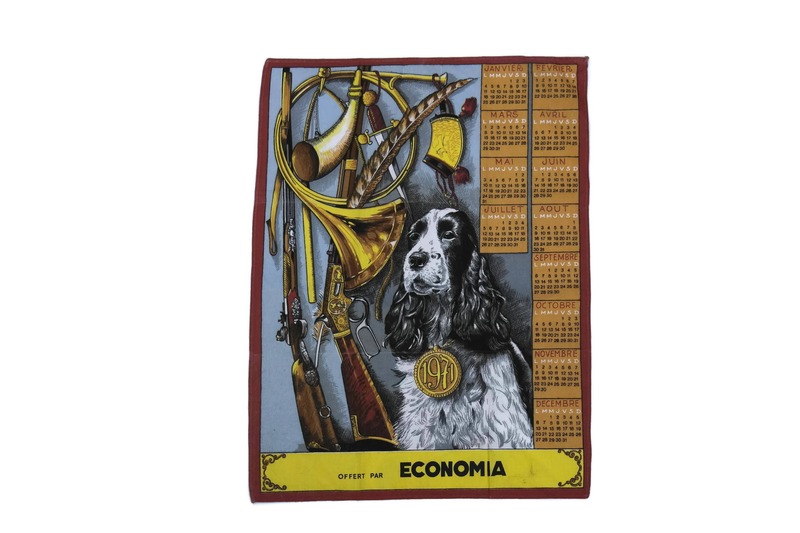 24 1/2" Long x 18 1/2" Wide (62 cm x 47 cm). 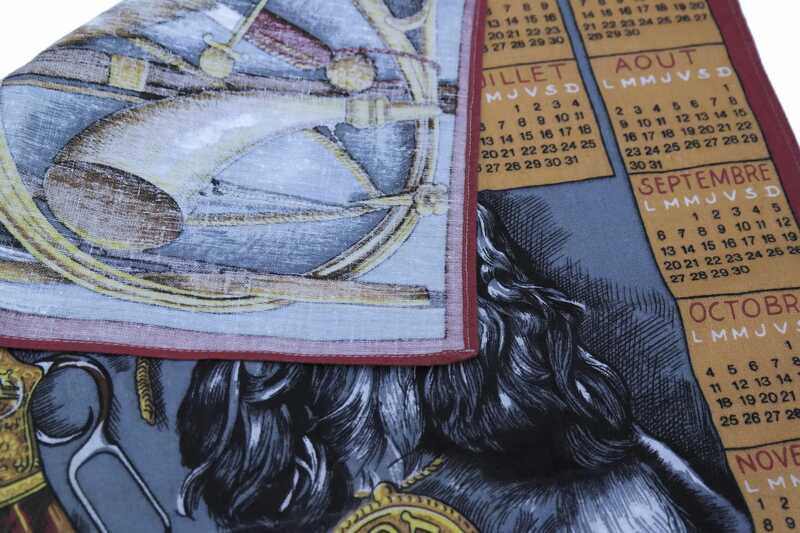 The vintage kitchen tea towel calendar is in good vintage condition with light surface and storage marks to the fabric.